The Asco Resilient Grid Coupling has unique shock absorbing and de-tuning properties. The Resilient grid is made of specially rolled high tensile taper flat section alloy spring steel material with particular technical care in shape formation, followed by hardening and tempering by controlled process. The unique design of hub teeth profile facilitates the gentle insertion of the Resilient grid into the all grooves on the hub periphery during installation and maintenance. Thus, it gives long life in transmitting progressive load under torsional shock condition. We are an eminent manufacturer, exporter and supplier of Indian domestic market. Our offered Grid-Couplings are well lubricated, having high torque capacity such as gear couplings with torsional flexibility of an Elastomer couplings. Grid Coupling provides the easiest, most cost effective and sought-after solution for high torque application. We adhere to all the set quality guidelines of our industry. We leave no stones unturned to maintain highest level of quality in our product-line. Moreover, we offer these products at industry leading price. 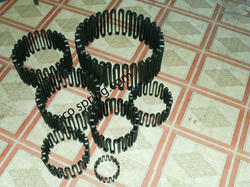 We offer diverse range of Resilient Springs, which is available in various specifications as desired by the clients. These Coupling finds vertical and horizontal splits applications in Agitator, Blower, Conveyor, Pumps, Mixers, Crane and Hoist. Further, these are fabricated from various specifications as desired by the clients. In a short span of time, we have become one of the prominent Grid Spring suppliers, Resilient Coupling spring manufacturers, and exporters of India. 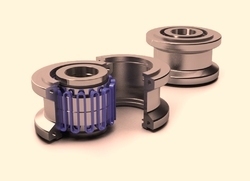 Our manufactured Grid Spring Resilient Coupling includes a hardened grid spring that connects two hubs with the help of axially cut grooves around the peripheries of two hubs. These hubs are fabricated from graded Cast iron material and the grid spring is developed from spring steel with hardening for optimum outcome. 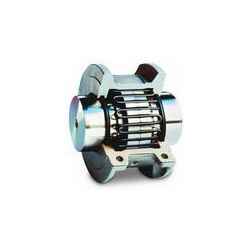 Our designed and developed Resilient Coupling are easy to install and do not require much of maintenance. These grids or spring couplings play a vital role to minimize down time in any given manufacturing plant. 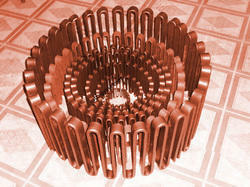 Looking for Resilient Springs & Coupling ?